One of the benefits of attending a LIANZA Conference is the opportunity, as the cliché says, to broaden your horizons. True to its name, OPEN 2017 did this in spades for me, with a variety of practical workshops and big idea keynotes. A session that particularly reminded me of the wider importance of our profession was the talk by National Librarian Bill Macnaught. Bill highlighted the National Library’s Strategic Directions to 2030, a document that first saw the light at the end of 2016, but which I had shamefully not been aware of (bad librarian!). Yet the three themes (aka in Bill’s words the “wicked problems”) of the Strategic Directions — Taonga, Knowledge, and Reading — are crucial to the future not just of the National Library but of our country as a whole. You can read more about them on the National Library’s website, but here is my summary for those who like me tend to fall into the tl;dr category. Are we collecting the right things that we want to share for posterity? Are we doing so collectively across the country? How do we ensure that the resources that are being preserved digitally will be easily accessible to New Zealanders in a hundred years’ time? How do we make it much easier to share knowledge across New Zealand? How do we overcome the legacy of thinking of our own institutions first? How do we create a nation of readers? According to the Tertiary Education Commission, almost half the adult population struggles with the written word. Functional literacy is not as good as it needs to be to ensure a prosperous and healthy Aotearoa. New Zealand’s collections of documentary heritage and taonga will be well-managed and consistently cared for, regardless of format, and readily available. All collecting organisations will have access to expertise to use new technologies and tools, so that digital preservation will be integrated into their collecting policies. 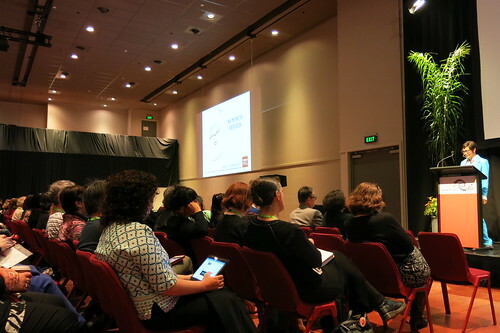 New Zealand institutions will act as one knowledge network, with seamless access points. New Zealanders will be engaged with these resources and inspired to create new knowledge, especially resources in te reo Māori. Collections will reflect the diversity of people in New Zealand and the Pacific, and the importance of Māori as tangata whenua. A national campaign of reading for pleasure will improve New Zealanders’ functional literacy levels. New Zealanders will have the digital literacy skills to access and use knowledge. 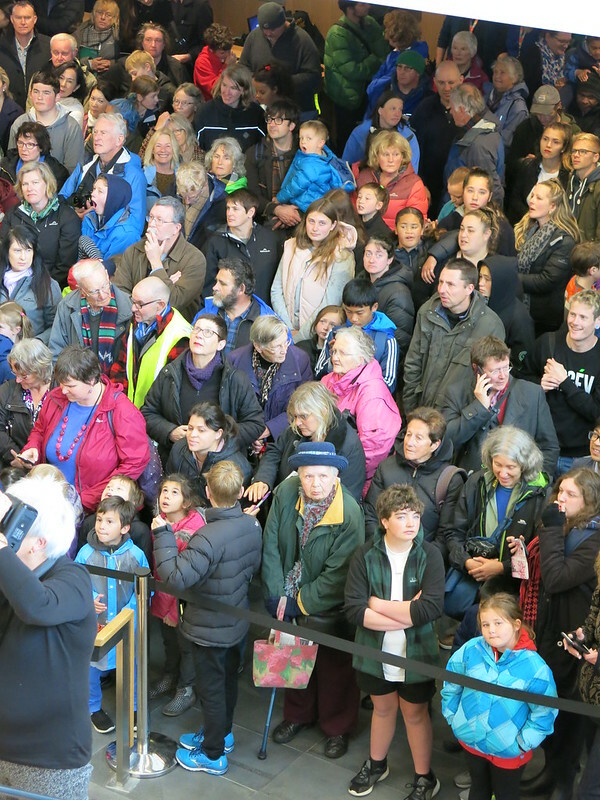 Te reo Māori will be revitalised and used throughout Aotearoa. Collective impact approach and mutually reinforcing activities (e.g. through enabling and demonstration projects that we can all focus on). Acknowledgement that we have common agenda. Shared measurement – we need to be clear about what success look like for all parties. Backbone support from the National Library. And that usual supect: continuous communication. Do you agree with the themes, issues and focus areas of the National Library’s Strategic Directions to 2030? Or perhaps you have a brilliant idea to help us achieve these? P.S. Want to read more about OPEN 2017? Check out Kat’s A LIANZA #open17 Bibliography. OPEN 2017 – the 2017 LIANZA Conference – officially kicked off on Sunday afternoon with a mihi whakatau and kai. Niamh Shaw the MC brought us together after that, and launched an afternoon of dangerous myths, future sounds, and an awards ceremony. Kelsey Johnstone of Christchurch City Libraries, LIANZA councillor for the Aoraki region, introduced Laurinda Thomas. Laurinda’s well known in library land for her TedX talk The Dangerous Myth about Libraries. Will we flourish or will we let the weight of that history hold us back from what we could be? The most important resource in libraries? It’s librarians. And it is librarians that will determine what the future of the profession looks like. This keynote was packed with ideas and conversations, and emphasised the importance of intentionality – of knowing what we do, why we do it, and for whom. I’ve picked out some of her key points, and the slides that illustrated her ideas. Laurinda focused on the here and now, not the future – the real work and real positive outcomes for the people we serve. We were social entrepreneurs before the phrase existed. Libraries are powerful. They provide internet access and modern life relies on it completely. Citizens can’t have human rights without access. We are providing people with a human right that opens up employment, communication with family, and democracy. The systematic cuts that UK libraries are enduring in the wake of austerity measures are not a politically neutral act. Cutting library budgets is reducing the education of citizens, and impacting on their rights. We have power as librarians, and that can make us feel conflicted. There is a hierachy amongst the people we serve, and the people we report to. These groups aren’t the same, one includes society’s most vulnerable, and the other includes some of the most privileged. When we use the word “relevant”, we imply the opposite. When we talk about “saving our libraries”, we signal powerlessness, and the need to be saved. When Laurinda did her TEDx talk, a woman spoke to her and said the talk made her angry. It was a retired librarian, and she’d been part of the same conversations 30 years ago. How do we have better conversations? Talk to the people who haven’t been into a library for ten years. Not everyone can afford books, or has a quiet place to go. Not everyone has internet access, or even a home. Some people don’t give a damn about the social good of the library. So find out what matters to them, and back up your stories with facts. If the library wasn’t here, what would you do? Do you know someone who would never come to the library? Misusing numbers – conflating statistics with opinions about value, but really we are more interested in outcomes than numbers. Libraries are not ideologically neutral. We support access to information, lifetime learning, and the social good. Political awareness is part of the job. Get up there. Do public speaking. Speak from the heart. To be visible is to be courageous. Make our profession impossible to ignore. Being open to indigenous knowledge. The way we present the library content we select with great care is all important. I would like to explore new ideas of presentation and customer interaction at the conference. I will be wearing my e-hat when going to the session on eBook usage and licensing agreements. Will this help me in the future to better explain to self-publishing authors why I can’t buy their eBook from them direct? As the selector for New Zealand nonfiction I also make the decision which books will be shelved in our Ngā Pounamu collections. I hope to get a lot out of the paper that gives an overview of how other non-Māori librarians are making sense of Māori knowledge. Visit the LIANZA Conference page for more information. Follow the #open17 hashtag on Twitter for conference-related tweets.